I am a 30 year old stay at home mom to a wonderful little boy named Gauge. After a very hard start into this world, he reminds me daily of what strength really is. When he was only three, two months after his father and I wed, I was diagnosed with Acute Lymphoblastic Leukemia and have been in treatment ever since. 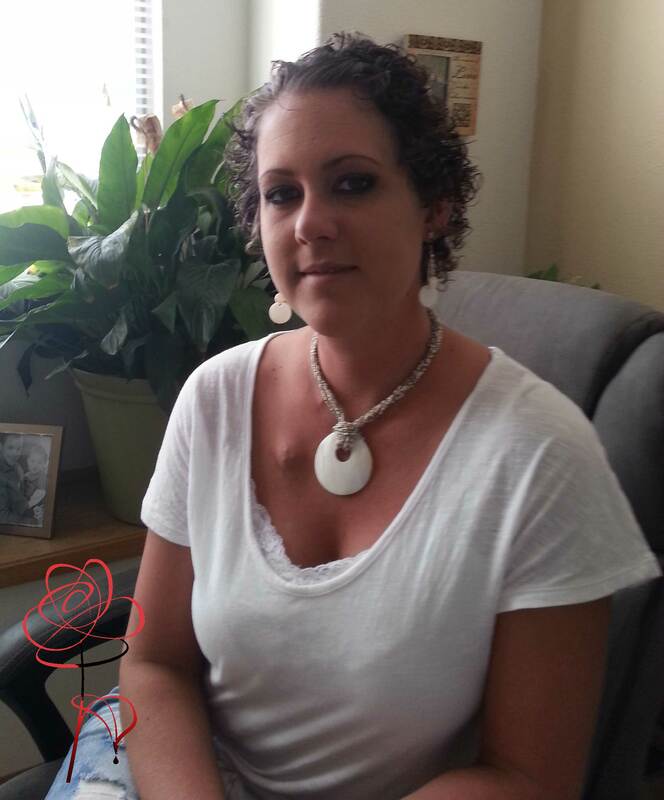 The cancer is in remission but treatment forges on until I hit two years of being diagnosed. Just when we thought things were looking up, Gauge was diagnosed with Type One diabetes. After yet another terrifying stay in the hospital, our little family fights on. Writing is my passion and it has continued to be my bliss and light when I sat in the darkest corners imaginable and stared death in the face. This world I created in my mind was the light in my dark and I hope it brings light to many, many more. There is a secret that is revealed to all members of the Gamic family on their sixteenth birthday and Shayde is finally about to find out all that it entails. Upon the reveal of this secret, things that had been foggy and unclear to her all her life begin to make sense and she feels within her heart that she is ready to engulf herself in this new and magical world. Along with the realization that she is a witch and may carry within her the power to fly, she finds herself falling in love for the first time with a normal human man named Kruise who seems to have the ability to make her more powerful. 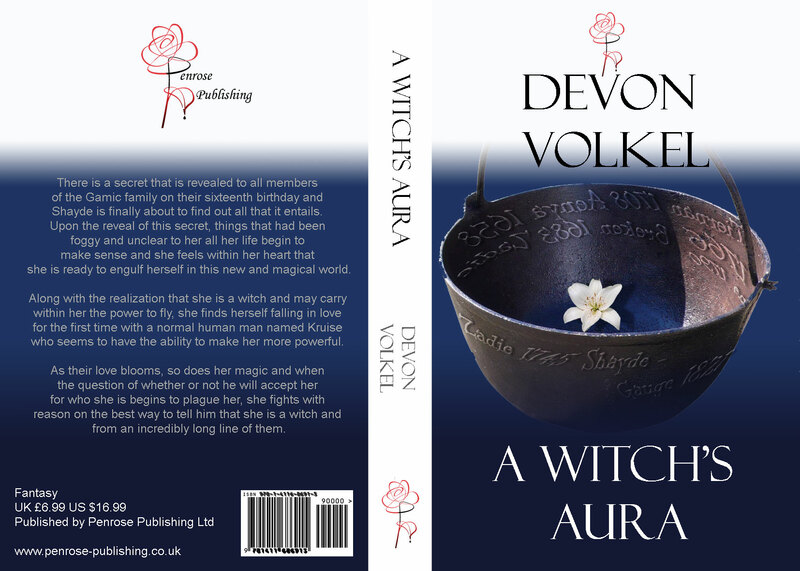 As their love blooms, so does her magic and when the question of whether or not he will accept her for who she is begins to plague her, she fights with reason on the best way to tell him that she is a witch and from an incredibly long line of them. When she does find the right way to inform Kruise of her secret, will he love her all the same or will he turn and run from the fact that there really are witches in Salem? And when she finds out that her secret carries more weight than she ever could imagine, will she persevere and become as powerful a witch as her ancestor before her, or will she fail and lose everything that she has ever loved? 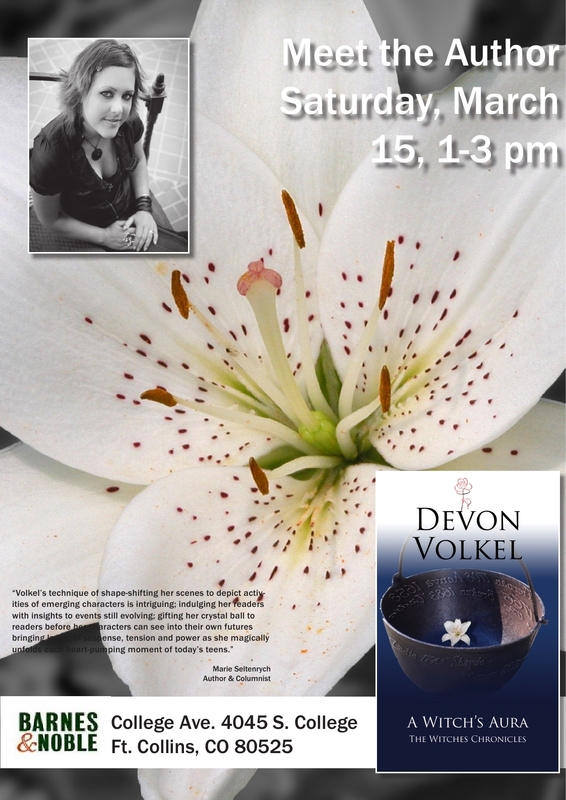 Our grateful thanks to, and on behalf of Penrose Publishing in the United Kingdom – (One of the best in the business) – and with our compliments, we would like to announce an important book signing venue set for March, for one of our very prolific and wonderful young Authors, Devon Volkel. All “Witches Chronicles Fans” are most welcome at this auspicious event. Enjoy, and see you there!! !